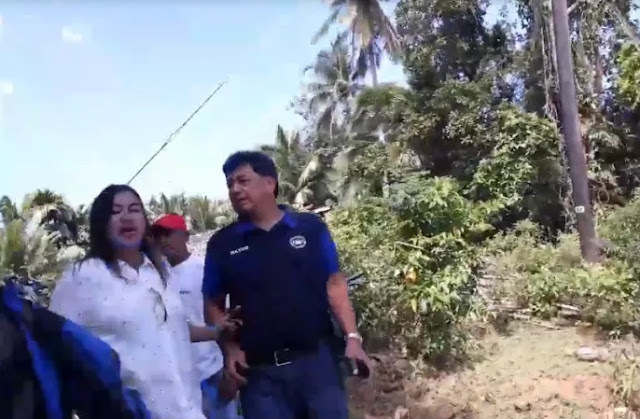 A town Mayor of Capalonga in Camarines Norte is now making the rounds on social media and found himself in hot water after he was caught on a video ordering his men to intimidate some members of the government task force conducting an operation against illegal quarrying in the area. The alleged controversial Mayor caught on video was identified as Mayor Senandro Jalgalado also known as "Pretty Boy," was caught on camera while cursing some members of the government task force who conducted an operation in the town under his jurisdiction and he even ordered his men to attack the task force. 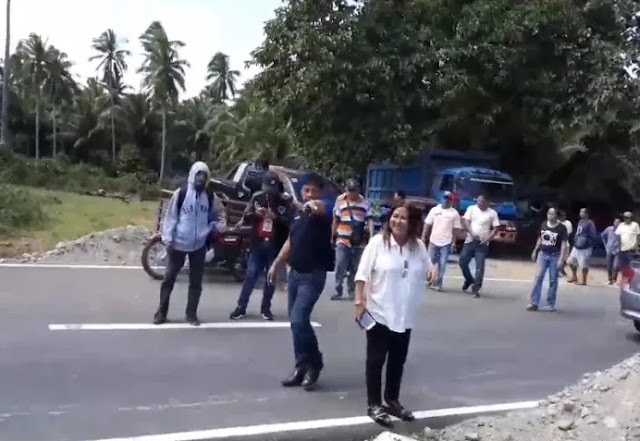 According to a concerned citizen, Fanny Almaida, the source of the video, the task force caught Mayor Jalgalado using a government-owned vehicle for doing illegal quarrying in his town which is against the law. 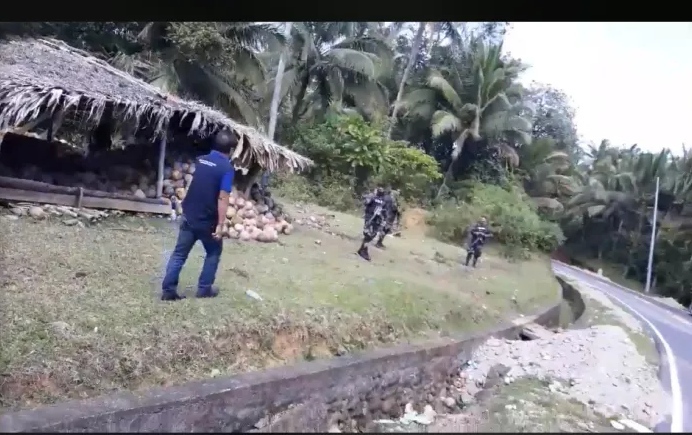 The Mayor was caught on camera that even in front of the policemen, he ordered his men to take down the group of Almaida who recorded the incident on camera. Aside from the Mayor, his wife was also present during the incident and even tried to downplay what the man who's recording the video was doing. The source of the viral video insisted also his right to record the incident, saying that it's their right to document everything that they saw during the operation. Mayor Jalgalado allegedly has seen shouting at the policeman who's only trying to cool down the situation. Despite the efforts of some cooler heads, the people present during the incident failed to calm down the Mayor as he became more intesnse. “Magp*tayan tayo dito!” the Mayor shouted. He even tried to intimidate the man who’s recording the video, saying that there might be something bad happen to him if he continues in documenting the incident. “I video mo yan p*k* ng *na mo, p*p*tayin kita!” he told the source. Mayor Jalgalado claimed and accused that the intention of the government task force might be related to politics. The controversial Mayor also made headlines in 2012 for committing indiscriminate firing and berating a police chief while drunk.